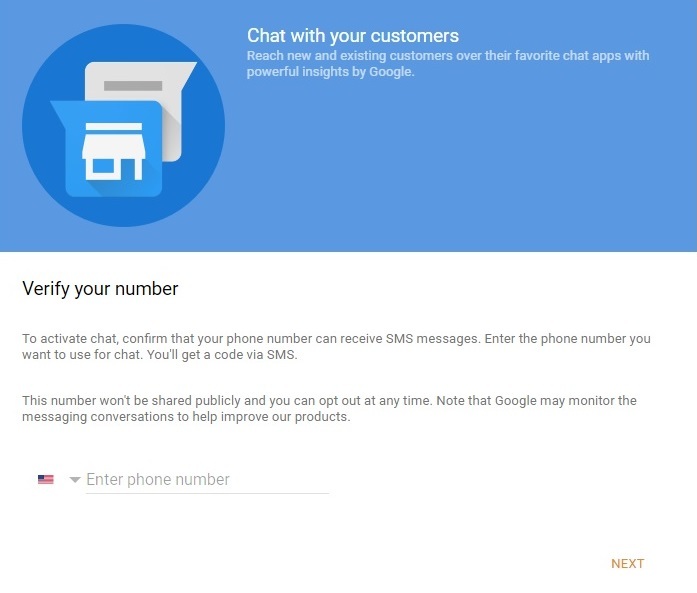 If your business allows potential customers to SMS message you via text messages or Google Allo there is a neat new feature you may want to take advantage of: messaging. 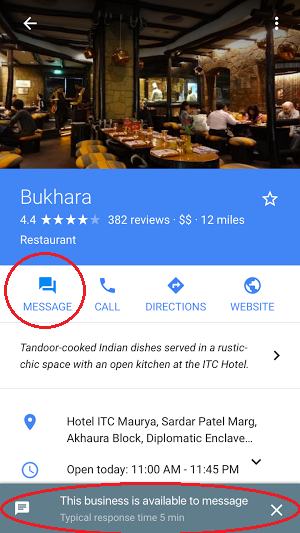 Once configured, customers and potential clients who find your business listing on Google using a mobile device can click a new “message” button to message you instead of calling. Enter a cell phone # here; users will not be able to see it..
To activate chat, confirm that your phone number can receive SMS messages. Enter the phone number you want to use for chat. You’ll get a code via SMS. This number won’t be shared publicly and you can opt out at any time. Note that Google may monitor the messaging conversations to help improve our products. Once configured, the new message feature shows up immediately on your Google My Business listing. It is not yet clear how the messaging feature will work with businesses with multiple locations, however an upcoming update to Allo may allow for this to work. Metrics are available in the GMB dashboard showing people how many chats were initiated, how many clients have used the feature and how many messages that were sent. After Google measures your typical response time, it may be shown to users as seen in the image at the top of this article. Have you used Google My Business Messaging? There is no telling if this feature will work out well or not. There are millions of business owners out there who have no idea what a “Google My Business” page is. If you are using it, please comment below; I would love to know how it worked out for you and if your customers use the feature or not. Thanks for the update Len. As usual Google features can be really helpful to both end users and businesses – but quite confusing to set up and learn how they work. Though I have to admit this one looks like a good one.